If you have not heard of Honey Bridal in Chicago take this moment to write it down. I mean it; write it somewhere in big bold letter so you do not forget because this is a bridal store you are going to want to tell everyone you know about. 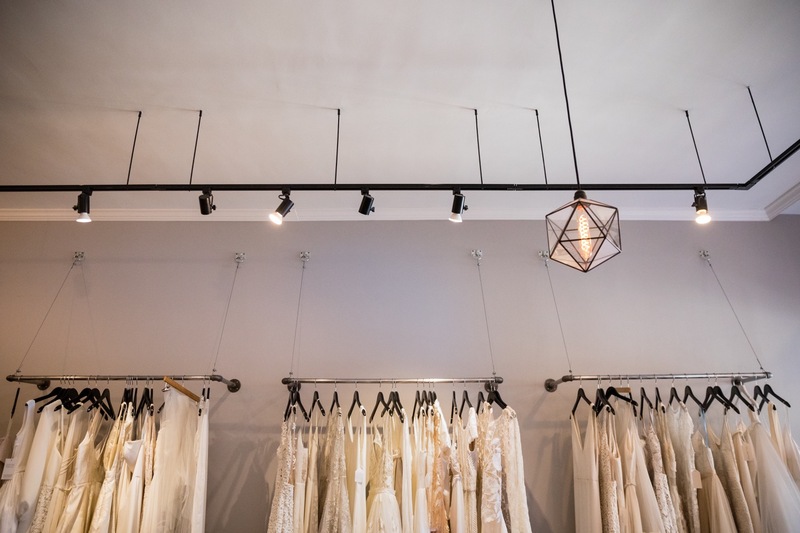 Honey Bridal was started by sisters Dana Karlov and Hallie Borden. They say they are complete opposites; but also exactly the same. They take pride in bringing a unique take on bridal to Chicago. Honey has a relaxed, inclusive, and a little bit irreverent vibe. They carry handcrafted dresses from independent designers who use ethical and sustainable production practices. Brides can feel good about supporting independent, female-run businesses while shopping for their wedding dress. Honey specializes in styles for the modern bride who knows who she is. I can’t gush enough about how much I love that! Every dresses at Honey is so unique; and we all know that brides want to feel unique on their wedding day. The last thing you want is to have your bridesmaid say that your dress is so similar to the dress her cousin wore in her wedding last month. It is so important to find a dress that feels like you and Honey Bridal is the perfect place to find it! They have all kinds of styles from traditional to understated. If white is not your color that’s okay! And you say you want a jumpsuit instead of a dress? Well they’ve got that too! This is not only a place where you can find the dress that fits your personality but you can also shop for the dress while tuning into your personality. What I mean by that is there is no pressure to say yes to the dress! Simply relax in their comfy chairs, drink cocktails and listen to your favorite tunes while looking for the dress of your dreams. If you loved this post you will also adore Bridal Makeup Do’s and Don’ts.